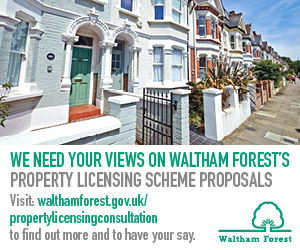 About: Waltham Forest Council operate a borough wide selective licensing scheme which began on 1 April 2015 and is due to expire on 31 March 2020. The council want to continue to license most privately rented properties in Waltham Forest to effectively regulate their condition, management and occupation and to help tackle anti-social behaviour (ASB) associated with private rented properties. The council are undertaking a public consultation which is open for 12 weeks between Monday 4 February 2019 and Monday 29 April 2019. The consultation outlines their proposals and preferred approach and the council have said they will listen carefully to the results of the consultation before making a decision. 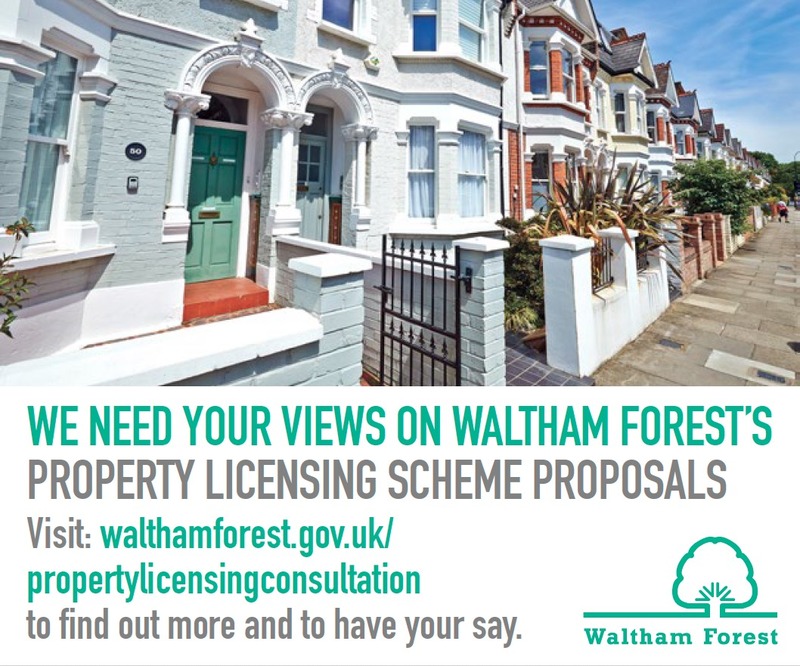 The consultation is open to all residents, tenants, landlords, agents and businesses but is particularly relevant to those in Waltham Forest and neighbouring boroughs. You find out more about the proposed licensing scheme and take part in the consultation by visiting the council's website.